History: The island's indigenous Arawak people were expelled or exterminated by Caribs in the 14th century. Columbus landed there in November 1493. Spanish ships frequently landed on Dominica during the 16th century, but fierce resistance by the Caribs discouraged Spain's efforts at settlement. 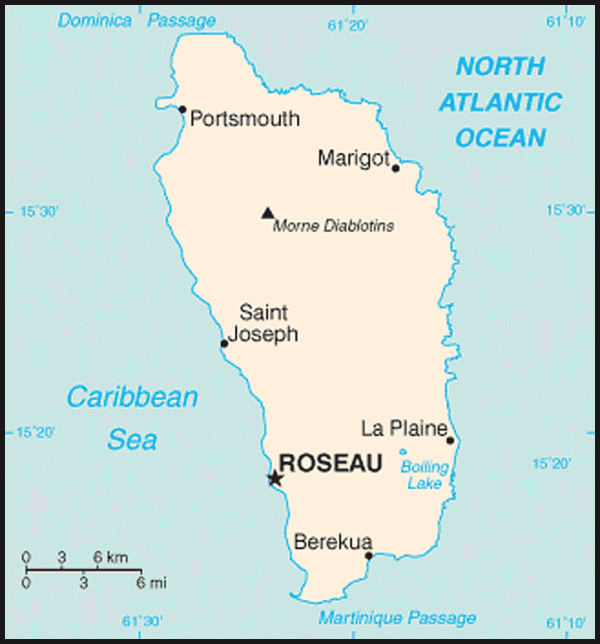 Dominica, due to its proximity, has forged strong relationships with the French Departments of Martinique and Guadeloupe. There are sizeable Dominican populations on both islands. Dominica takes its CARICOM and OECS responsibilities seriously and is an active participant in both organisations. BUSINESS BYTE: “Game of Thrones” final season is coming! Dominica-based fan group holds viewing party! Skerrit has failed us & Dominica – Has Labour government condoned & practised the act of thievery (boBOL)?